This photo is so gorgeous and again, an angle I wouldn't have thought of. Really lovely. This is terrific! Great colors, angle -- and I like that you included the person walking. Love this one. I get off on smelling leaves... love a handful of these. And a mighty lovely carpet is she! Gorgeous Autumn colors! 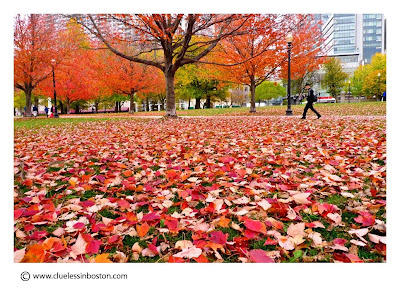 I love the autumn colours in your photos! 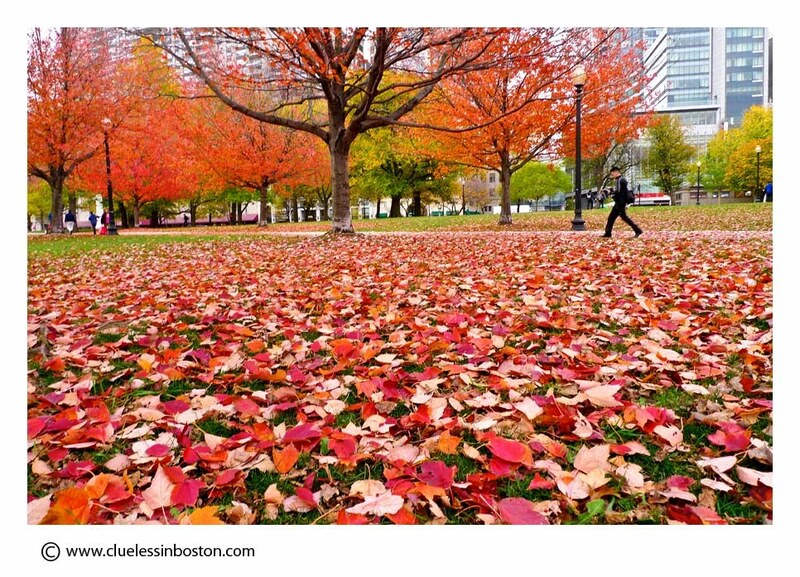 The leaves fall to the ground in a red carpet only briefly then the leaves dry up and lose their color. You caught this at just the right time. Very pretty. I wish we had these brilliant autumn colors in the south. I remember walking through a colorful carpet like this on the far side of the MFA. great fall colours! greetings from barcelona. LOVE this!! Beyond pretty. I like the low point of view and I also love the site's new layout.